Today's post is actually going to be a fun little treat that's a bit different from my usual posts! I went home to spend some time with my family this weekend for Mother's Day. In honor of the holiday, my mom and I collaborated and took a peek through her makeup collection to talk about her favorite products! Unlike most things, my makeup obsession is not something I got from my mama (quick nod to will.i.am for this absolute gem.) This is evidenced by the fact that my mom keeps her favorite products in a gallon sized plastic bag and only has four brushes that she keeps in rotation. The thing that I find most inspiring about this is that my mom will use anything that is available to her. While I am rather gluttonous and constantly feel the need to buy new makeup that I will likely never use up, my mom is a minimalist who consistently pans/empties products. She is the hardest working woman I know and I really appreciate the fact that she's so grateful for the few things she's got and is satisfied with that alone. Without further ado, lets dive into my mom's makeup bag! Urban Decay Naked 3 Eyeshadow Palette: I bought this palette for my mom a few years ago and it was her first ~luxury~ makeup product. 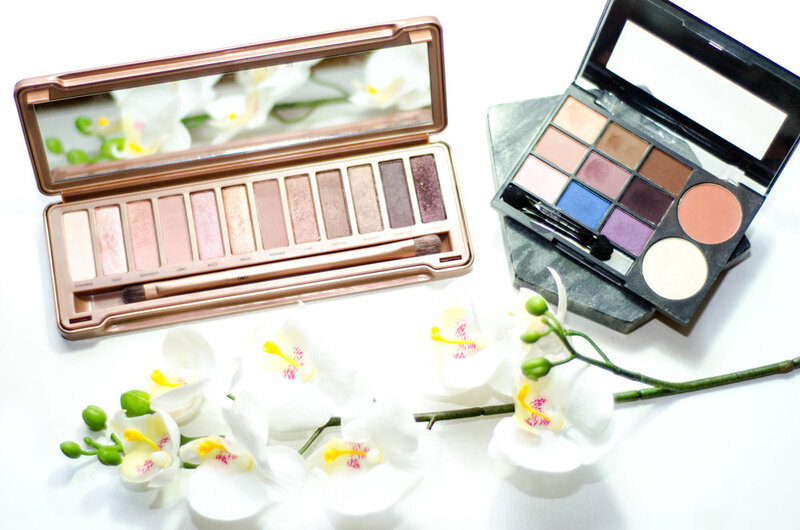 According to her, she loves it because it is the perfect palette for her color-wise and stays put on her eyelids all day. She said, and I quote, "I like to use this when I'm feeling fancy!" It took me about a year to convince her that it's actually okay to dip into it and that I bought it for her because I wanted her to use it despite it being pricey. I am so glad that she loves it now that she's finally taken the plunge! Ulta palette (??? ): To be quite honest, I have NO clue what the name of this palette is, nor does my mom. She received it in one of those free Ulta product bags they give out during promotions on occasion. When I asked my mom what she used this for, her answer proved just how much of an absolute gem she is: "I use this pearly white powder and do what you told me to do right *here* and *here" (pointing to her cheekbones and underneath her eyebrows.) I realized she meant highlighting and nearly cried! It's a shimmery white powder with some golden sparkles throughout and "does what it's supposed to do" according to her, which made me laugh. I asked if she ever used the eyeshadows and her response was "yeah one time because I was lazy and couldn't find my Naked palette - see the finger marks in these two shadows?" I also tried the blush in the palette and it immediately disappeared after blending. Despite this palette being 95% junk, she's carved out a nice chunk in the highlighting powder and that warms my heart. Bareminerals Original Foundation: This product was interesting because when I asked my mom for her thoughts on it, the first thing out of her mouth was "well...." followed by a sigh. She received a sample of this powder foundation as well as two other products from the same line a while ago. In her words, there was "underneath stuff" and "on top stuff" alongside this foundation in the collection. I think the "on top" product is likely the Bareminerals Mineral Veil, but I'm not entirely sure what the "underneath stuff" is - perhaps a primer? My mom said that the three products working in concert did amazing things for her skin. The foundation alone does even out her skin tone, but she claims that using everything together made everything look nicer overall. As a testament to my mom's incredible prioritizing and frugal nature, she's only been buying one product from the trio at a time to replace her used up samples. I have a sneaking suspicion that she may be receiving a gift in the near future... as soon as I figure out what the mysterious "underneath stuff" is. Bareminerals Blush in Laughter: This blush is a bright coral/peachy pink shade in a loose powder form, which was initially shocking to me as my mom generally prefers more subtle tones. Although it looks bold, she could not stop raving about the shade. As far as the formulation goes, she told me that it stays on well (sans setting powder or setting spray) and has even coverage despite her having some textured skin and large pores on her cheeks. Unfortunately, it appears that this shade is no longer in formulation. Looks like I'm on the hunt for a Laughter dupe! Nyx HD Studio Photogenic Concealer: My mom's first words when I pulled this out of the bag were "I love this stuff!" She has dark circles that run in our raccoon-eyed family and this covers them up without creasing in fine lines. She also mentioned that she's used it on blemishes without any redness peeking through or any weird clumping. When I asked her where she uses it most, she said she puts three dots across the tops of her cheeks/undereye area and on the bridge of her nose - the same technique as me! Proud daughter moment. Essence Lash Princess False Lash Effect Mascara: This product is another recommendation by me, as you likely know if you've read my posts for a while. My mom said that it both lengthens and plumps up her short lashes and she doesn't experience any transferring like I sometimes do. So if you didn't believe me before, you heard it here twice, folks - ladies with genetically stubby lashes globally can rejoice due to this miracle-worker! Nyx Retractable Eyeliner in Black: Initially I was perplexed, as my mom has two black eyeliners in her bag and uses both daily. When I asked what this particular one was used for, she replied, "I poke it into my eyelashes to give my eyeliner a more flawless look." Even moms recognize the importance of tightlining, guys. My mom has super sensitive eyes and this liner doesn't irritate them at all, which is quite an impressive feat. Nyx Slide On, Glide On, Stay On, and Definitely a Turn On Eyeliner in Jet Black: First off, can we talk about the name of this liner? Come on Nyx, you can do better than that. Anyways, this is a crayon liner that my mom uses on her upper eyelid. She likes it better than pencil liners as it's not pokey or scratchy, which I have to say is a major reason why I avoid pencil liners as well. She said she's able to create an even line with this and it stays on through the end of the day. My mom and I are both total goofs and laugh all the time, so she did mention that one of the eyeliners she uses transfers underneath her lower lash line a little bit from having constant, squinty laughing eyes. However, we don't know which liner that's attributed to - if you want to conduct a science experiment to get to the bottom of this perplexity, let me know. I think this post proves that my entire household is clearly a Nyx fanbase and that we recognize the power that a good drugstore product holds. Although my mom has limited makeup knowledge, I was really impressed at the techniques and products she's remembered me mentioning to her in the past. It made me feel special, just like she's able to do every day. It was really nice to share my hobby with her, and I had a ton of fun writing up this post. Happy Mother's Day momma, I love you! 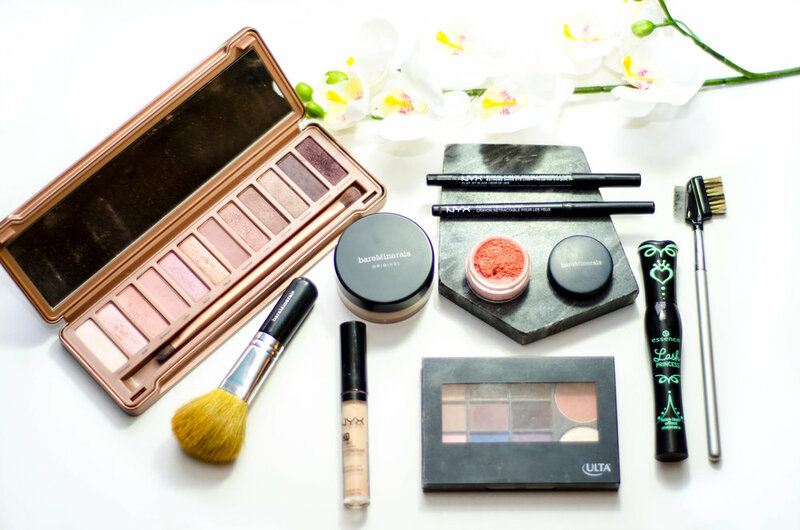 Do you and your mom share a love for makeup? What are some of her makeup staples? Leave a comment below!